Cam's Cinematic Episodes: Oh Wow! An Update! Cam's Worst of 2007! Oh Wow! An Update! Cam's Worst of 2007! 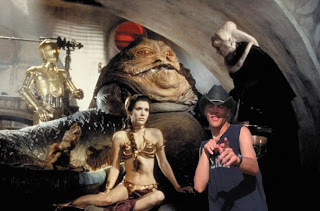 Hey there you few, who still bother wandering over to this neglected avenue of cyberspace. It hasn't been a great year for my blog, other than an unexpected mention on CBS news online, but I'm aiming to get her back on track. This upcoming semester will hopefully allow me more time to write, and hopefully get quoted again somewhere legit. I do strongly appreciate all you Gerard Butler webmasters who quoted my article on the now aborted Escape From New York project, though. Recognition always helps to grease the creative wheels and y'all were no exception to that rule. But let's get to it! So, this was not a spectacular year for movies. There were a lot of films that failed to meet audience expectations (Shrek The Third, Pirates 3, Spider-Man 3), and many that dwelled in mediocrity (Pathfinder, Shooter, Ghost Rider). These types of films haven't made my list, as they are either too blandly forgettable or lamely underwhelming to earn the sort of hatred that earns a place on my "Worst Of" list. Rather, I'm focussing on the movie-going experiences that left me angry and frustrated. The movies that provided hours of ranting conversations with friends over how truly awful and insulting they were. Films that don't deserve to be called films. Before we begin I have to mention that I didn't see a number of the truly dreadful offerings to be ejected from the bowels of Hollywood this year. So, don't be expecting my thoughts on junk like Norbit, I Know Who Killed Me, Epic Movie, Good Luck Chuck or I Now Pronounce You Chuck And Larry. Haven't seen them. Plus, how much fun is it to put them on a list when they seem to have been made for that very purpose. As well, I also have yet to see a couple of the truly dismal disappointments like Rob Zombie's Halloween or Aliens Vs. Predator: Requiem, and thus can't provide any insight there. No, this list focuses on five films which I went into with an open-mind and was ejected from the theatre/couch bitter and resentful. Without any more long-winded adieu, here comes the pain. A couple months before its release it had all the appearances of the most awe-inspiring, badass spectacle of the summer. I lined up for an hour to see it, psyched for a couple of hours of the type of action-packed wonder that only Hollywood can produce. Instead I was force-fed a cynical, wit-starved, behemoth of ugliness which joins fellow inductees Godzilla and Armageddon in underlining the worst that crass commercial filmmaking can create. What happens if you make a comedy without a single laugh? Does it become a fascinating portrait of actors valiantly strugglin g with horrific material, or at least an intriguing train wreck? Turns out in this case the answer is neither. 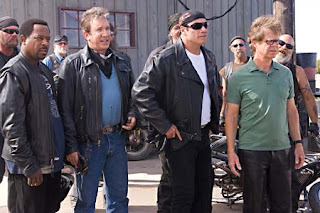 Wild Hogs is the most uncomfortable film experience of the year, a dead zone of audience pandering, ineptly staged hilarity, and forced performances that makes one's skin crawl. It takes really bad talent to strip away the collective onscreen charisma of John Travolta, Martin Lawrence, Tim Allen and William H. Macy, but director Walt Becker manages the near impossible. Each actor, with special attention on Travolta, is something of an unlikable parody of their usual personas, and the effect is off-putting to say the least. There were lots of terrible comedies this year, but only this one had me frequently glancing at the countdown timer on the DVD player in exhausted frustration. I would love to meet the rocket scientist who came up with the brilliant notion of creating an action movie around a feuding Jet Li and Jason Statham in which the two never really duke it out. Instead said genius attempted to wow the audience with an ext remely tired mob story coupled with a laughably pathetic twist ending. War is the rare instance of a modern action movie not understanding its own selling point. 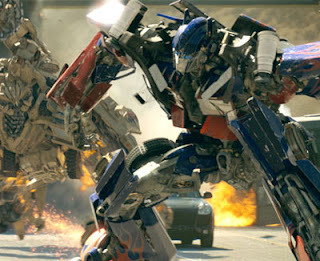 At least Transformers had giant robots. So, instead of an empty kinetic thrill, we get a curiously plodding cop/gangster drama with unimaginative martial arts scenes and frantic pursuits thrown in. The car "chase" in particular is hilarious in how poorly it is staged and edited. 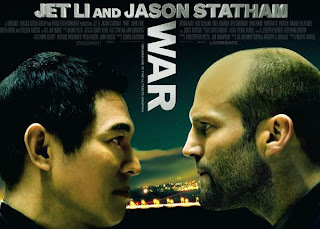 Statham, a once bright rising star in the action universe, is boring and one-dimensional and Li is just plain wasted. I never thought I'd grow nostalgic for The Transporter or Cradle 2 The Grave, but here we are. This was almost number one! Only through serious soul-searching did I come to the final decision to push this toothless cannibal thriller down to second place. It is amazing how badly th is production manages to render one of the most fascinating on-screen villains of all time boring. Credit must go to young Gaspard Ulliel who is either a terrible actor or an extra who wandered onto the wrong set. He takes Anthony Hopkins quiet menace and turns it into whiny, emo foppishness. The screenplay doesn't do Ulliel any favours, it must be said, as Hannibal's revenge quest in never anything other than campy. Rhys Ifans, as the chief villain, is often hilariously over-the-top and a stunning contrast to Ulliel's one-note flatness. Despite a promising Ulliel-free opening, we are treated to a dull two hours punctuated by bad laughs. 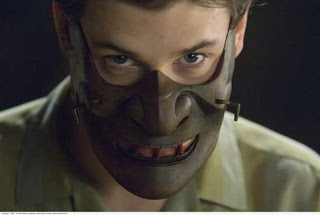 I particularly enjoyed Hannibal's first encounter with his infamous restraining mask, as well as Gong Li's immortal line: "Memories are like a knife. They can hurt you." Indeed, and so can films like this on your resume. I actually went into this one by coincidence. We couldn't get into the advance showing of Shooter, and Zodiac wasn't going to start for another hour, so this was our pun ishment. I think Jim Carrey is the tops. I've liked almost everything he's done. 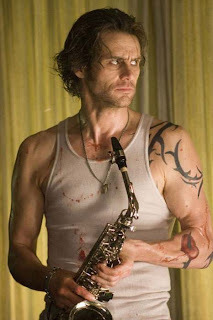 This one, however, was a truly stunning horror of a film in which every decision made was evidently wrong. It's rare to see thrillers this poorly scripted and nonsensical not go straight-to-DVD, but I suppose with a pedigree like The Number 23 that wasn't going to happen. Instead, audiences were painfully exposed to a tired looking Carrey going through the motions of a plot that not even Gaspard Ulliel could take seriously. From the bizarre film-noir pieces, to the idiot ending, The Number 23 managed to create a vacuum of poor writing. The Angel of Death dog was a nice capper. I truly believe that a good film could be made on the basis of the number 23 numerological theory, but this film ain't it. With what is left, it is a failure on every conceivable level, and without a doubt the stupidest and most regrettable film-going experience of the year. I'll put together my "Best Of" list in the very near future, as soon as I see Juno. Hope you all enjoyed the list... Even the Transformers apologists. I just gawded at Gong Li, didn't really pay attention to what she said.